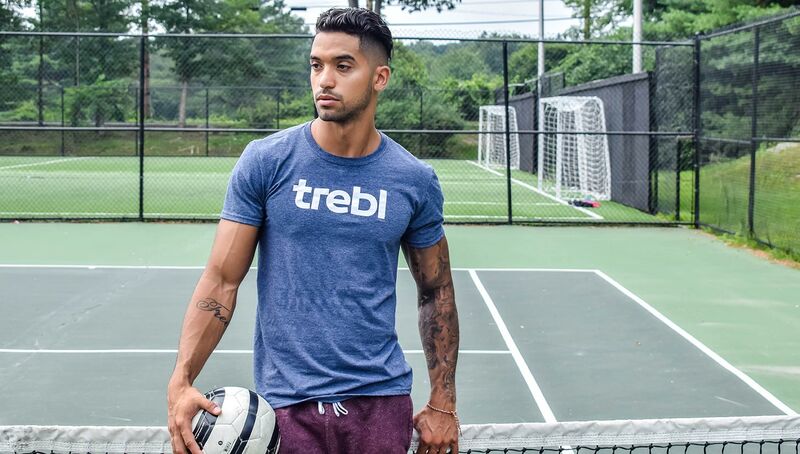 Aiming to play a role in soccer’s impending takeover of the United States’ cultural lexicon, up-and-coming athleisure brand Trebl brings a fresh collection of both active and lifestyle wear with soccer-inspired roots. Through the internet’s omnipresence, we have seen the ways paved for smaller grassroots brands in the highly competitive apparel market previously dominated by industry giants. These smaller brands have obtained loyal followings through their authenticity, ability to pinpoint their audience’s desires, and of course, overall quality. 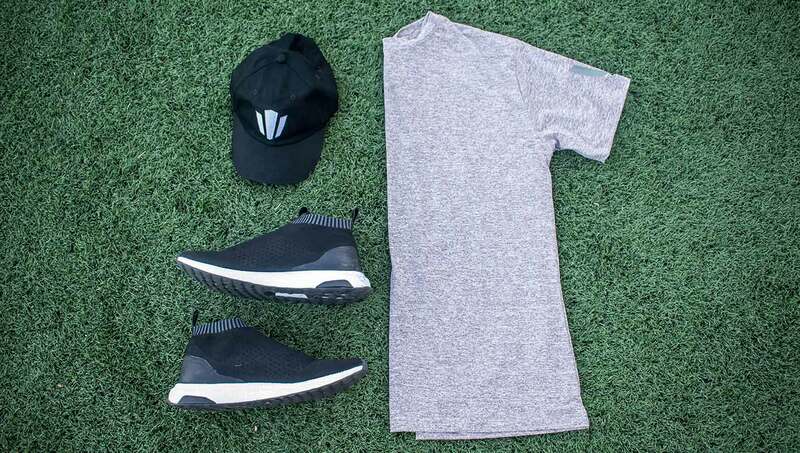 All three of these aspects have to potential to be captured by Trebl, whose founders have turned a blazing passion for football into full line of active and lifestyle wear. 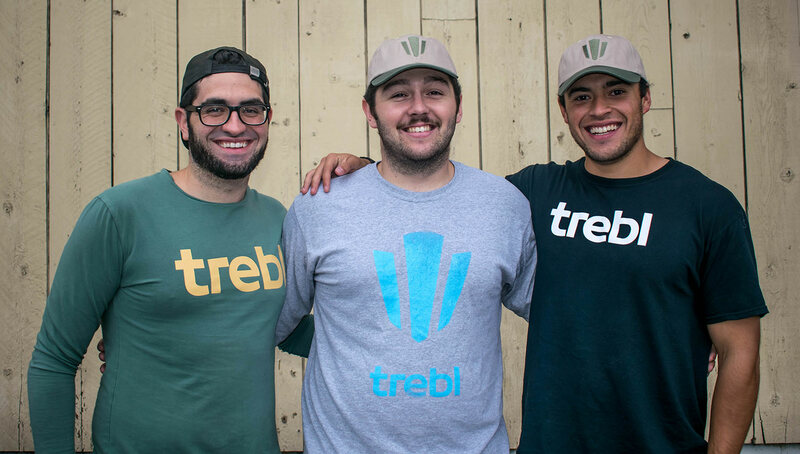 The Trebl founders (L-R) Luiz Fernandez, Brendan Moran, and Allan Araujo. 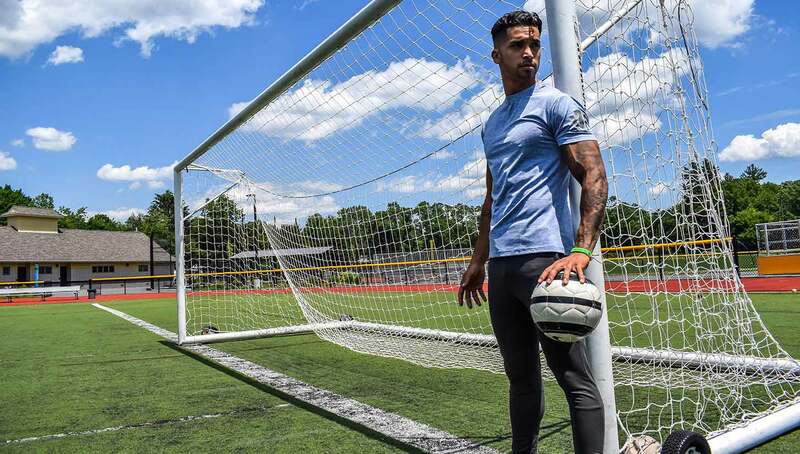 The three co-founders, Allan Araujo, Luiz Fernandez, and Brendan Moran, all hail from Framingham, Massachusetts (about 20 miles west of Boston), and share a love for both playing and watching the beautiful game. That love was elevated last April when they decided to create Trebl despite a lack of familiarity with the fashion industry (save for Moran, who is currently working toward a degree in fashion design at Framingham State University). Though they are each generally in charge of a certain set of responsibilities — Araujo with brand research and operations management, Fernandez with social media marketing and branding, and Moran with product design — the trio refrains from pigeonholing themselves to singular roles, and routinely bounce ideas off one another. This role fluidity aids in the brand’s creativity and is much less restrictive on each member. We had a chance to speak to these three co-founders about the direction of Trebl, quirks of working in a startup environment, and the future of soccer’s influence in America. Urban Pitch: How did the idea behind Trebl come about? 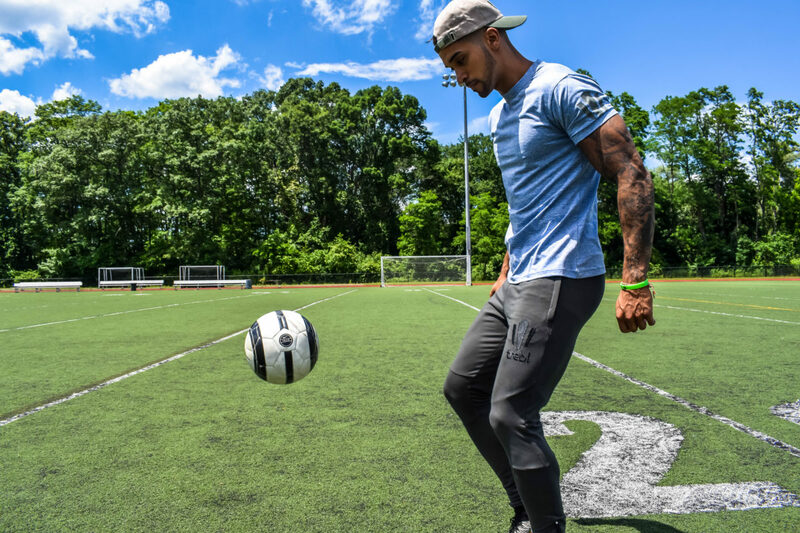 Allan Araujo: I had noticed that companies like Gymshark and Alphalete had grown quickly in the gym athletic wear space, in which I thought that big brands like Nike, Adidas, and Reebok owned a large share of. I was very interested in seeing why these companies were growing so quickly. Through research, you kind of see that people are more inclined to back a company that fits a specific niche or passion of theirs. 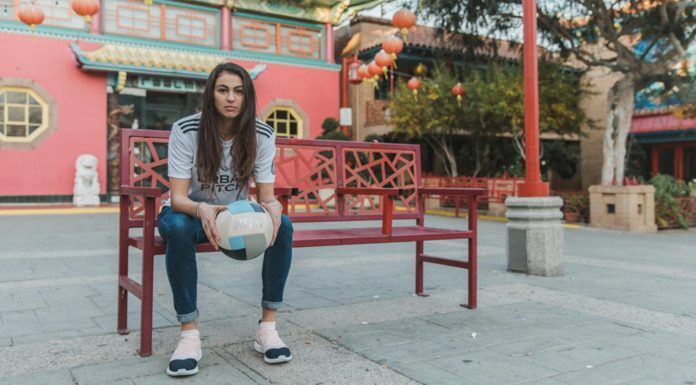 There really isn’t anything out there specifically focused on soccer-related performance as well as culture and lifestyle outside of those big brands. We thought it could be a cool space to enter because soccer is such a huge sport. 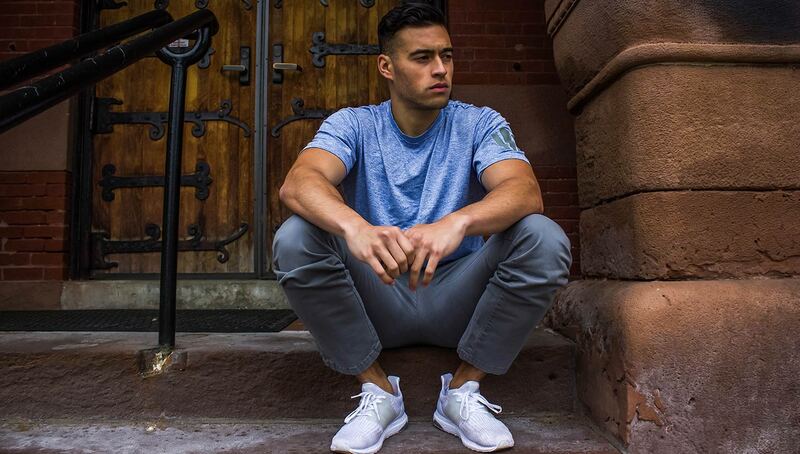 There was definitely a potential to make that our own niche within the clothing industry. What do you think is the future for those smaller, grassroots brands? Allan: At least through what I’ve seen, the accessibility to starting your own business — not just in fashion but in all realms — is so much easier than it was back when companies like Nike and Adidas started. I think that the outlook for smaller companies to grow is enormous. We’re seeing so many of these smaller companies come out of nowhere. Brendan Moran: Yeah, with the age of social media, if you hit a sweet spot and get featured on a crazy successful account, your grassroots brand in which you put so much time and effort into can blow up. Before Instagram you had brands like Adidas and Puma that were already established, but with this new age we can establish a relationship with consumers halfway across the world. Allan: Just to add on to that — before, it was every brand for itself. Everyone else was your competitor and you wouldn’t work with them. We’re now seeing a culture where collaborations between companies are becoming more common. For example, you have Kith working with Nike and Adidas, which is something that I think is pretty unheard of. It shows that yes, the space is saturated, and yes, there is a lot of competition, but there is a lot of room for growth. If your product is good and your message is good, people will back it up, and larger companies will be willing to work with you. How did you guys come up with the name Trebl? Luiz Fernandez: We wanted something that didn’t have any built-in meaning necessarily, but also kind of did. For example, a lot of people know that Nike is the Greek goddess of victory, but when someone hears “Nike” that isn’t the first thing that they think about. We wanted something that signified excellence that also had soccer attached to it. 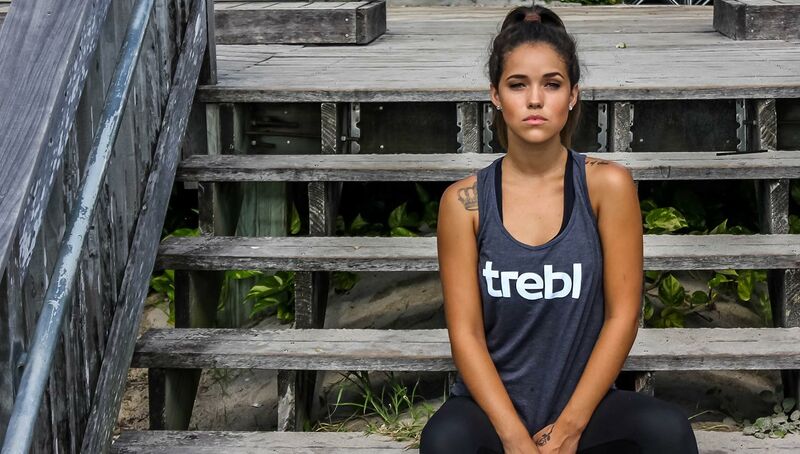 We came up with Trebl, because it has a connection to a Treble, the highest peak a soccer club can reach, but it also stands on its own and people can add their own meaning to it. Over time, we are going to build our brand and it is eventually going to be synonymous with whatever we develop it into. When I think of athleisure (and hopefully I’m not alone on this), the first thing that comes to my mind is Kim Kardashian in a Lululemon outfit. 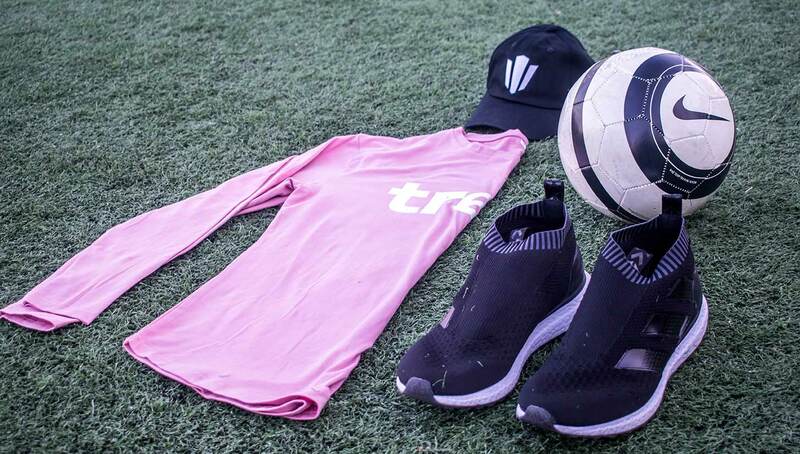 How does Trebl stand out from not only other soccer-inspired streetwear brands, but athleisure brands as well? Brendan: We are going to differentiate ourselves by being very active in getting feedback from our audience. We like to stay in close contact and check up and see what they are looking for in their apparel. Allan: Soccer has a rich history of being a fashion-forward sport. A lot of soccer teams overseas have these bold color schemes and patterns — even the sponsorships that go on the jerseys have become iconic. I think now that the U.S. is starting to catch on to this, our goal is to bring that existing soccer fashion concept to the U.S., where team jerseys tend to be more generic and “uniform” than other countries. 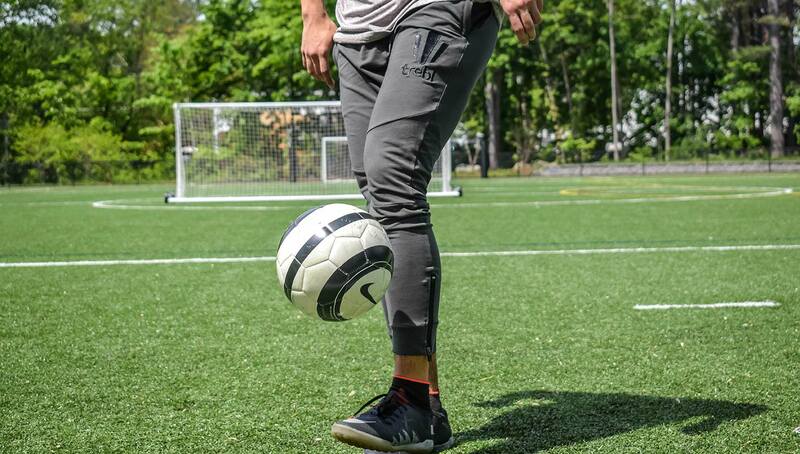 We want to put a new spin on some old classics, and make those soccer styles that the rest of the world knows popular here in the U.S.
We’ve spoken to a couple of other soccer-inspired apparel brands in the past, and they have mentioned how soccer, while it is growing rapidly in the U.S., isn’t quite at the forefront of American culture yet, giving it a “trendy” appeal amongst fashion influencers. Do you agree with this, and how in your eyes has soccer’s popularity in the U.S. had an influence on its role in fashion? Brendan: Yeah, we definitely agree. Soccer is definitely on the rise, but it’s not like everyone on the street is wearing a soccer jersey. However, there is a certain population that is embracing the soccer mentality and aesthetic. These are trendsetters that have the guts to break into a newer sport like soccer and make it fashionable. Basketball jerseys in the late ’90s were made a huge craze by hip-hop. That’s where we’re headed with soccer. The soccer wave is at its peak and it is about to crash down in the U.S.
Allan: Yeah, people have been talking about the rise in soccer’s popularity for a while, but you still see stadiums that aren’t fully packed and you still see teams struggling to sell tickets. But now, we’re seeing teams like the Portland Timbers or Atlanta United that are selling out 75,000 seats, which is something that seemed like an impossible feat in the U.S.
We are now truly starting to see the resurgence of the sport in the United States, which is a peak time to take advantage of the fashion in soccer. Luiz: We watch a lot of European soccer, and we’ve seen the impact of soccer culture elsewhere around the world, and we just want to be a part of that. We want to make our brand a part of that culture in the U.S. We’ve been missing out in comparison to the rest of the world, and now that the U.S. is kind of catching up, we want to be a part of that movement. That’s what drives us. You guys really seem to have a “startup vibe,” whether it be your interchanging roles, or your vlogs that show how you are able to still have a good time while being incredibly busy. What is the “startup life” like, and what sorts of challenges come with it? Allan: If we’re being completely honest, everything is a struggle. Coming from people who haven’t really had much background in the fashion industry, one of the biggest challenges was understanding how difficult it is to get clothing out to the public that has both the right fit and right material. It’s an everyday learning process, whether it is going through samples, vetting manufacturers overseas that we have never seen, or even getting our brand image and message out there. Jumping into a new industry like that, what were some things you were forced to pick up on the fly? Luiz: I think that everything is a learning process. We are a startup, so we can’t be afraid to try things. We might fail once in a while, but you learn from these kinds of things and go from there. A lot of it has been feeling ourselves out as we go. We don’t necessarily have the most experienced background in fashion, so just trying things is the best way we’ve been able to learn. Even with all of the hardships and challenges, there’s got to be some upside to working for yourselves though right? Allan: We are in a cool position because we are so hands-on with everything. A lot of our research and development is just finding people that play soccer or reaching out directly to our audience to see whether or not they like what we are putting out. This allows us to get a very live and unfiltered view of what our customers want, because we are on the ground seeing it every day. Let’s go back to the vlog. You don’t see too many company founders giving their audience a deeper glimpse into their lives like that. How did that start? 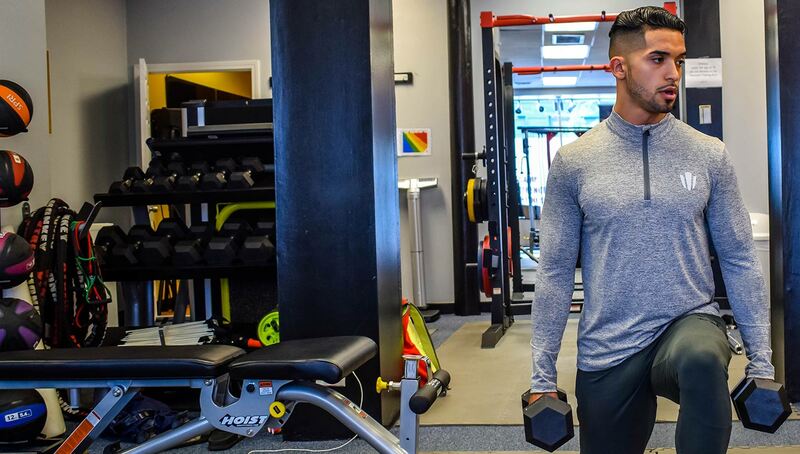 Allan: A lot of it came from seeing other successful guys like Christian Guzman of Alphalete. They are extremely smart at leveraging YouTube and getting that content out. Seeing the heads of a company doing silly things builds a connection with your followers and audience. You’ll never see that with bigger companies like Nike and Adidas. We’ve been lucky to have people around us who are great with cinematography and developing videos. I don’t think it started with a serious conversation, it was more like, ‘Hey, we should start making videos.’ It was a pretty natural thing for us, which was pretty cool. What kind of opportunities have opened up from the vlog? Luiz: We have a couple of FootGolf vlogs, and we had a great time doing them. Later, we randomly got contacted by the President of the FootGolf League, who also happens to be the President of the Federation for International FootGolf. He told us that they were having a tournament down in Orlando and they’d love to meet us and give us an opportunity to showcase our products. This was within four days of the tournament starting, so we all cancelled our plans and booked it down to Florida by car to be a part of the tournament. That’s one of those things that I’m actually really happy that we were able to do from the vlog. You guys are located pretty close to Boston, which is one of the great sports cities in America. What is the soccer scene like out there? Luiz: It’s a little interesting, just because, besides soccer, all of our other sports teams are the best. Everyone’s a Patriots fan, most people are Celtics fans, and everyone loves the Red Sox, so in terms of a sports town, it’s awesome, but soccer gets drowned out. But there are definitely a lot of people who play soccer. There are pick up games going on left and right, so it’s a sport that is played a lot, but at the major level the attention is directed towards other sports. Sometimes that grassroots community can be more valuable than national media attention. How would you describe Boston’s grassroots soccer? Allan: We have a Facebook group with a bunch of local soccer players, and usually by 3 p.m. every day someone will post saying, “Let’s go play.” We’ll all just show up and play until it gets too cold or too dark. Luiz: Yeah it’s a beautiful turf field, it’s in an apartment complex that’s only for residents, but none of us live there. The Facebook group has several hundred people, and with only two small turf fields, depending on when you get there, you could be waiting all day. Allan: It’s uber-competitive. You’re playing eight-minute games, and if you don’t win, you’re out on the sidelines waiting for maybe another hour or hour-and-a-half. What is the future for Trebl? Brendan: Right now, we are in the works of finalizing our winter line, as well as trying to start a foundation of a team to compete in the Boston area and push to start making uniforms for a team. Ideally we’d like to play for a team that we make clothes for. We’re training, and making sure the guys are ready so that we’ll be ready to hit it this summer. Allan: For the close future, we just want to learn from our initial launch and improve our quality for our next release, which is something that we are truly stoked for and happy with. We also want to cement the vision of what our brand should be going into the future. For more Trebl, check out their online shop and follow them on Instagram. The quotes in this interview were edited for clarity and length.